Alex Rosa is the international authority on many topics in combinatorial design theory, including Steiner triple systems, Steiner quadruple systems, labellings, cycle systems, and colourings. 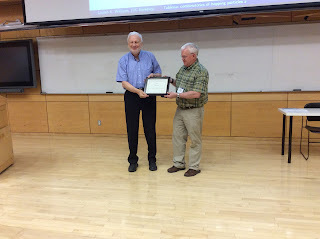 He has published more than 200 refereed journal papers, written a major research monograph on Triple Systems, and founded the leading Journal of Combinatorial Designs. His work has opened new fields of research, breaking new ground repeatedly. For decades, Alex has emphasized the elegance of new ideas, and has freely shared his knowledge and ideas with his younger colleagues. As one nominator says, he is a “master at constructing designs” and an “inspiration”. 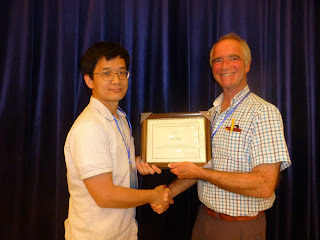 DrYueZhou has achieved excellent influential results with many co-authors and in broad areas, three of which are modified planar functions, substructures of finite projective planes and network codes. In addition to providing several important constructions in finite planes, Dr Zhou has improved a deep result of Leung and Xiang on the rank of unital codes. Dr Zhou has introduced the concept of nuclei for distinguishing inequivalent network codes, and used it to determine the full automorphism groups of twisted Gabidulin codes. 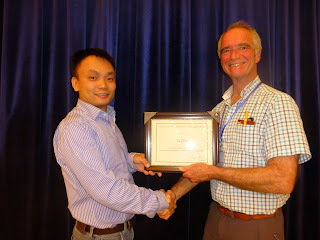 His nominators summarize: “all his research visits were a great success” and “YueZhou is a brilliant mathematician”. Lijun Ji is a leader in the area of combinatorial design theory and its applications in information theory, focussing on three-wise balanced designs, Steiner quadruple systems with desired properties, large sets of triple systems, orthogonal arrays, covering arrays, group divisible 3-designs and their applications in optical orthogonal codes, authentication codes, constant weight codes, and frequency hopping sequences. He had published 51 articles in international journals. 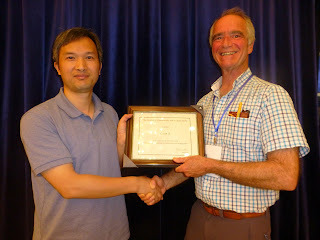 His nominators highlight his “outstanding contributions”, his “good taste in research problems”, and his “potential to be one of the thought leaders in [the] design theoretic community”.